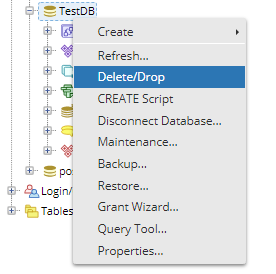 Using this command, we can drop the database. Once you execute this SQL command, you will lose all your data, database structure, tables, schemas, etc. So be careful before dropping any database, make sure that you are leaving the correct database, I suggest that you have to take the backup before leaving the database.